After the success of this year’s World Champion Pie Eating Competition, to celebrate the 23 year history we have a retrospective of previous pie munching winners. Barry Rigby, winner of the 2009 World Pie Eating Championship, takes the trophy for the second time. 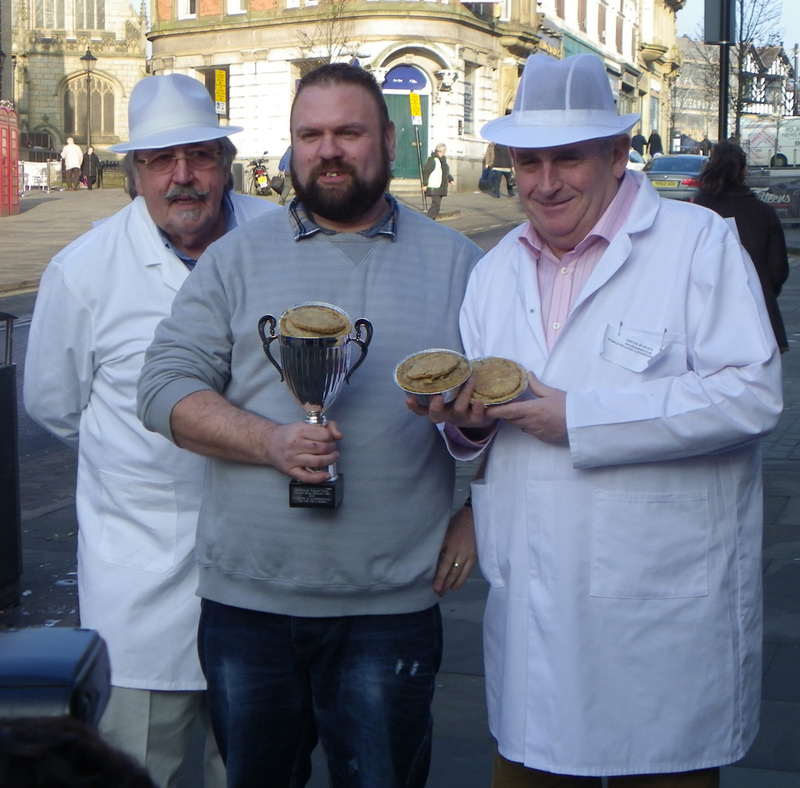 Ian Coulton wins the World Pie Eating Championship and the Badley Piggens Trophy with the slowest ever winning time of 1 minute and 6.61 seconds at Harry’s Bar, Wigan.